OK, so you may be in the situation of school holidays that seem to go on longer than when we were kids, and the inevitable question of what to do with the little darlings!!! Simple! Take them to Jodrell Bank! That is what I did with my niece! It is a great way to introduce them to the night sky and make them look up towards the heavens and wonder what is up there. My grandparents lived in Buxton and when I was a child I had spent many a summer holiday with my grandmother having travelled up from Hampshire (where I was dragged up!). A holiday in Buxton meant I was a bit nearer to Jodrell Bank than I was in Basingstoke and whenever we went over the Cat and Fiddle on the Derbyshire-Cheshire border, I had always looked out for the 250 ft dish in the distance on the Cheshire plains as we descended into Macclesfield. And even as an adult, whenever I make the trip, I always try to spot the dish in the mist. Jodrell Bank is the home of the 250 ft Lovell Radio Telescope (named after Professor Sir Bernard Lovell who was the driving force and mastermind behind the telescope in the years after the Second World War). The Lovell telescope is part of the VLBI (Very Long Baseline Interferometry) setup which utilises radio telescopes across the world linking up to provide interferometry science. In a nutshell, interferometry is the system that effectively produces a radio telescope that can be as wide as the earth. Now I know that may seem a bit odd but in reality it is a logical setup. Radio waves are, in comparison, relatively low frequency compared to visible light and as such, it is possible to match signals from two or more radio dishes from different locations on Earth and amplify them to produce a 'picture' of a radio source, instead of just getting a signal from them. It is possible to do it with optical telescopes but the science and technology behind the setup is much more complex. In fact the new VLA (Very Large Array) scopes do just that, use interferometry amongst themselves to increase detail in objects that they are looking at. 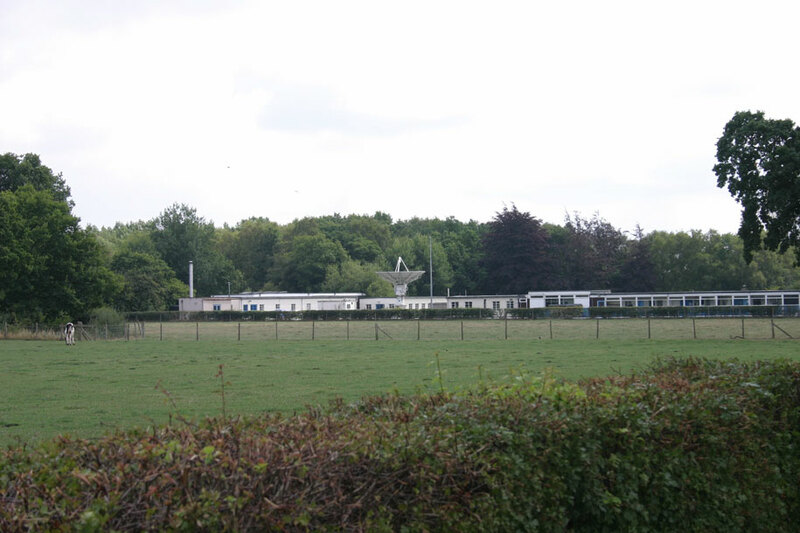 The Lovell Radio Telescope is not the only radio dish at the site (which is run by the University of Manchester). There is also the 25 meter dish which is part of the Merlin array. Merlin (or Multi-Element Radio Linked Interferometer Network) is a national network of radio telescopes that use interferometry to produce radio images that, in some frequencies, have a resolution greater than that of the Hubble Space Telescope. 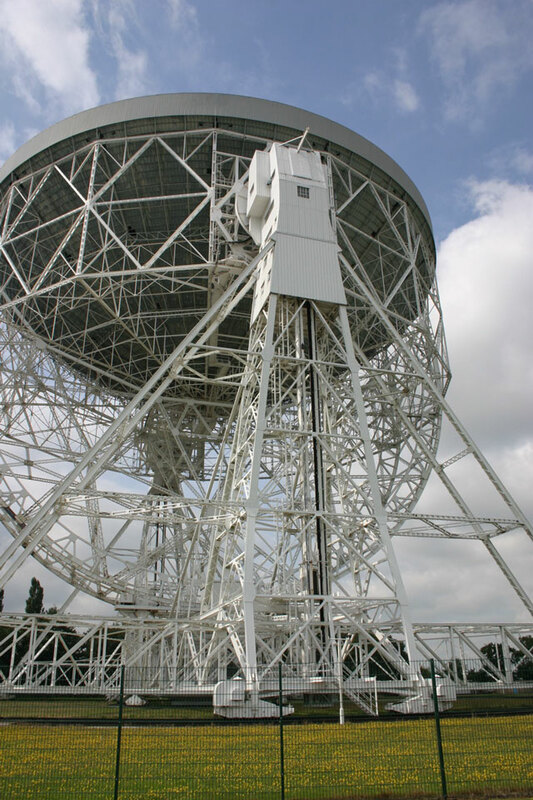 Situated on the same building as the famous Lovell Radio Telescope control room, is the 13 meter scope which is used mainly for observing the Crab Pulsar (M1 in Taurus). Near to the 25 meter Mk II telescope is a 7 meter dish used by undergraduates from the University of Manchester for their studies and also for distance learning students. So what else is there to see at the Jodrell Bank site? Well, to be perfectly honest, at the time of writing this short review (August 2006), the visitor centre is being refurbished and comments, ideas and suggestions from visitors are requested by the site so that the experience can be truly visitor orientated. They do have a 3-D cinema that shows a very good film about an imaginary spaceflight to Mars including some great 3-D images of flying through the Vallis Marineris and around Olympus Mons. The presenter of the half hour show is extremely enthusiastic about astronomy and gets the audience involved in what is going on in the night sky at the time, including what stars and constellations are visible, the arrangement of the planets and upcoming events (in the case of my visit he was explaining about the Perseid meteor shower). On a regular basis, astronomers from the sight are available for question and answer sessions with members of the public an all aspects of astronomy as well. On the grassed area next to the Lovell Radio Telescope is a fantastic device called The Whispering Gallery which is something I found fascinating (I like the simple things!!). It comprises of two half-domes on their side pointing at each other. By positioning yourself at the focal point of these half-domes, you can whisper into them and a person situated at the same point on the opposite half-dome, some 30 meters away, can hear you better than if they were stood next to you. A simple way of demonstrating how dishes are used to collect waves (whether they be of radio or sound) and focus them. 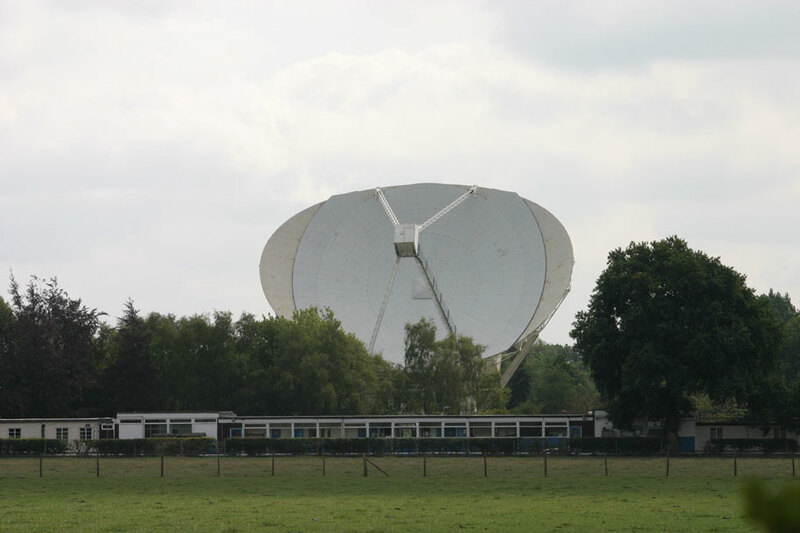 For whole host of information about the Jodrell Bank site, visit the website at http://www.jb.man.ac.uk . 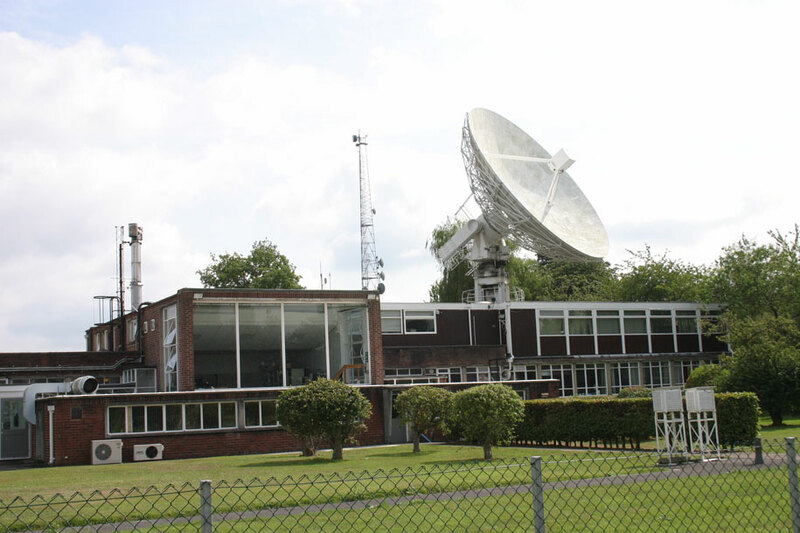 This is an excellent website which provides links about the history of the 250 ft dish, Sir Bernard Lovell, radio astronomy at Jodrell, webcams of the telescopes, and the Merlin and VLBI systems to name but a few. The website is well worth a visit on a wet Sunday evening when it’s not possible for us visual astronomers to get our Newtonians, refractors and SCT’s out to look at the sky. As for the visitor centre at Jodrell, well I highly recommend it. The sight of the Lovell Radio Telescope through the trees as you travel through the Cheshire countryside is an imposing one which gets you hooked. And my niece’s verdict? Well, according to my mother, she hasn't’t stopped talking about Jodrell and the stars since she visited. I think we may have a new astronomer in the making, especially seeing that she is now the proud owner of my Celestron C6N telescope!!!! !